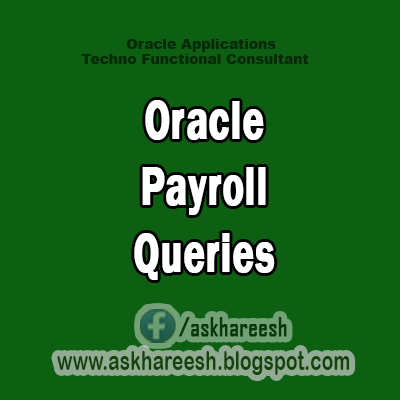 The major tables containing parties and customer accounts information in Oracle Receivables are grouped by business function. A party is an entity that can enter into a business relationship. A location is a point in geographical space described by an address and/or geographical Indicators such as latitude or longitude. This table links a party (HZ_PARTIES) and a location (HZ_LOCATIONS) and stores location-Specific party information such as a person’s mail stops at their work address. This table stores information about relationships between two entities, for example, one party and another party. This table stores a variety of information about a party of type Organization. This table stores a variety of information about a party of type Person. This table stores a variety of information about an organization contact. This table stores information about customer/financial relationships established between a Party and the deploying company. This table stores information about customer/financial account sites information. This table stores information about the business purposes assigned to a customer account site. This table stores information about a role or function that a party performs as related to a customer account. For example, Jane Doe might be the Legal Contact for a specific customer account of Corporation ABC. Note that account ownership such as financial responsibility for an account is determined by the single party ID that is stored directly on the HZ_CUST_ACCOUNTS table. This table stores information about how to communicate with parties or party sites using electronic media or methods such as Electronic Data Interchange (EDI), e-mail, telephone, telex, and the Internet. This table stores invoice, debit memo, commit-ment, chargeback, bills receivable, and credit memo header information. • Each row includes general invoice information such as customer, transaction type, and printing instructions. • You need one row for each invoice, debit memo, commitment, and credit memo you create in Oracle Receivables and these are all distinguished by their transaction types stored in RA_CUST_ TRX_ TYPES_ALL. This table stores information about invoice, debit memo, credit memo, bills receivable, and commitment lines. It describes to the customer the charges that appear on these documents. This table stores all transactions except adjust-ments and miscellaneous cash receipts. A miscellaneous cash receipt is one that is not connected to a customer. • All customer-related activity is logged in this table. This table stores information about each transaction type for all classes of transactions, for example, invoices, commitments, and credit memos. as well as standard defaults for the resulting invoices. The primary key for this table is CUST_TRX_TYPE_ID. This table is a Bills Receivable-specific table containing the history of a transaction’s lifecycle. • A new row is created each time there is activity on the transaction or the status of the transaction has changed. • This table stores the header for the Receivables posting information. This table stores the accounting distributions for cash receipts, miscellaneous receipts, adjustments, credit memo applications, cash receipt applications, and bills receivable transactions. This table stores one record for each receipt entry. • All cash receipts are logged in this table. • Oracle Receivables creates records concurrently in the AR_CASH _RECEIPT_ HISTORY_ ALL, AR_PAYMENT_ SCHEDULES_ ALL, AR_DISTRI-BUTIONS_ALL, and AR_ RECEIVABLE_ APPLICA-TIONS_ALL tables for invoice-related receipts. • For receipts that are not related to invoices, records are created in the AR_MISC_CASH_ DISTRIBUTIONS_ALL table instead of the AR_RECEIVABLE_APPLICATIONS_ ALL table. This table stores all of the activity that is contained for the life cycle of a receipt. This table stores all accounting entries for cash and credit memo applications. • Each row includes the amount applied, status, and accounting flex field information. This table stores all accounting entries for miscellaneous cash applications. • Miscellaneous cash cannot be invoiced, such as stock revenue, interest income, and investment income. • AR_CASH_RECEIPTS_ALL stores one record for each payment, and this table stores one record for each distribution of the receipt. This table stores the different receipt classes that you define. • Receipt classes determine whether the receipt[s] belonging to this class are created manually or automatically, and whether the receipts go through the different steps in a receipt’s life-cycle. This table stores information about Payment Methods, receipt attributes that you define and assign to Receipt Classes to account for receipts and their applications. • For automatically created receipts, a Payment Method defines the rules for creating these receipts. • For manually created receipts, a Payment Method defines a user-definable type for the receipt. • Each Payment Method is associated with a set of bank accounts, which forms the set of bank accounts you can assign to your receipt. This table stores information about the adjustment applied to the Invoices.